Après is an indisputable facet of ski culture. Whether you’re a pro, ski bum, fair-weather fan of groomers, or total grom, everyone loves after-ski playtime. As a kid, we spent our hours after the chairs stopped running, having water fights in the hotel pool, followed by a soak in the hot tub. The best après ski in Aspen certainly doesn’t have to be about the consumption of alcohol…but it usually is. 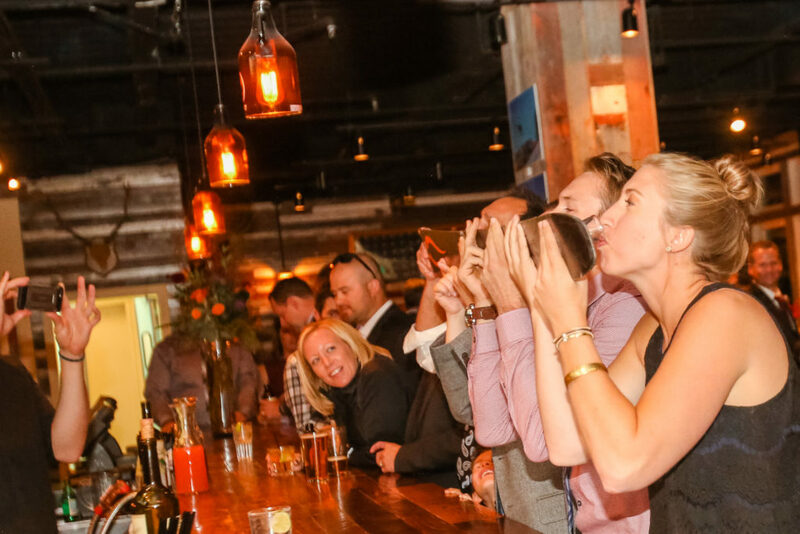 Since the Limelight Lounge is one of most happening happy hour scenes in town amongst visitors and locals alike, I’ve dedicated this post to the best après ski in Aspen to get your adult après on. In no particular order, these are the places to see and be seen, post-snow hangout session. Through the end of ski season, the Limelight Lounge has live music and dancing Thursday through Monday, from 6:30-9:30pm, but that’s bedtime in après hours. After-skiers flock here starting at 3-7pm for $12 wood-fired pizzas, $4 drafts, $4 craft beer flights, $7 house wines, and $9 specialty cocktails including hot toddies and Colorado whiskey flights. If the latter appeals to you, check out Whiskey Wednesdays: From 3-10pm, the Lounge offers a $12 Colorado whiskey flight featuring Stranahan’s (Denver). Since altitude heightens the effects of alcohol, the deal includes three seriously tasty candied bacon-and-pulled pork sliders with bourbon bbq sauce from executive chef Jeff Gundy. Slide into après ski – literally – at Ajax Tavern. Ajax Tavern sits at the bottom of Aspen Mountain attached to the five diamond Little Nell Hotel. The rowdiness and debauchery gets going early, around noon, and is elevated by the constant flow of Veuve Clicquot and truffle fries. If you’re looking for more of a lounging experience, The Little Nell also contains the lesser known Chair 9, a simple (and warm) lounge with classic cocktails. One of my favorite ski town hotel bars, the J-Bar has been packing them in since 1889. Back in the day, it was populated by Aspen’s movers and shakers, but during Prohibition, it embraced the dark side by serving up generous helpings of “Aspen Crud,” a spiked milkshake that’s still on the menu. Today, the masculine bar- which still features most of its original Victorian trappings, including a hand-carved Chinoiserie Chippendale bar, stamped tin ceiling, and hardwood floors- draws crowds for what’s been dubbed the best burger in town (no lie, it’s pretty damned tasty) and a lively, social scene. 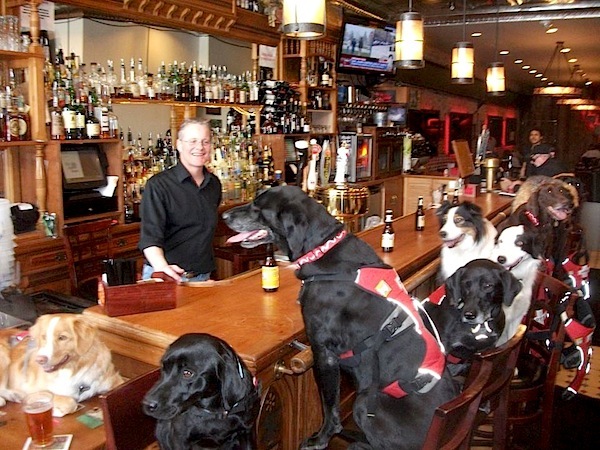 Grab a seat at the bar, if possible, and you’ll be making new friends in no time. Housed in one of the most historic buildings in Aspen (on the Hyman Ave. Mall), this former saloon has been pouring stiff drinks since 1892. Not much has changed, other than the conversion to a Mexican restaurant and the addition of dirt-cheap happy hour PBR pints, well shots, and Jello shooters. Accordingly, the scene can get rowdy, but there’s live music, a kid’s menu if you’ve got the family in tow (Tip: go early), and the obligatory HDTV’s. Think of it as a Mexican-inspired Man Cave. Which may be all the information you need to patronize a different bar. New to Aspen in 2016, Mi Chola has become a local favorite. Classic and inventive margaritas plus chicken tortilla soup make this place an après staple. Located on the north side of town, your non-drinking friends can also enjoy funky fruit-vegetable juices and kombucha on tap. 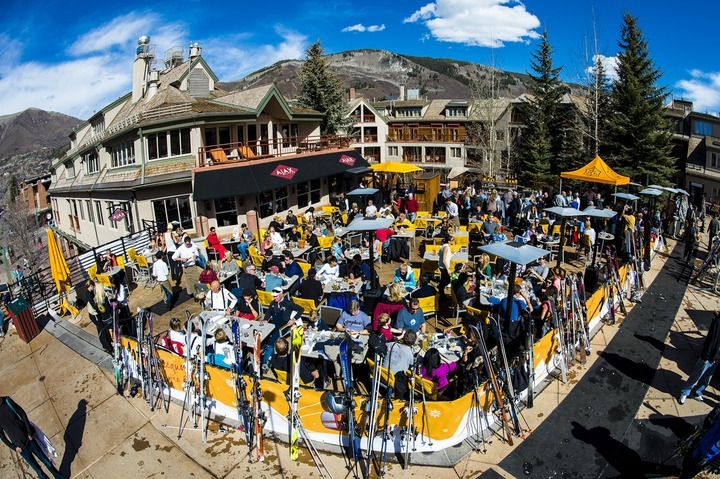 Granted, there’s not many other places to après at Aspen Highlands, but that’s beside the point. 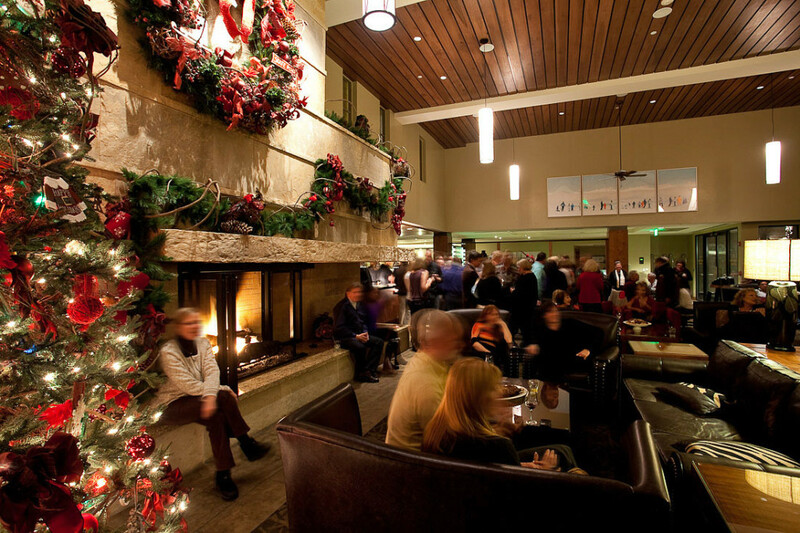 This is the spot for after-ski libations, be you local or visitor. Best of all, you can take the free bus back to the transportation center at Rubey Park, so go ahead and have that second (or third) draft. This list is decently comprehensive, but we also encourage all visitors to explore new places; to find the best après ski in Aspen.